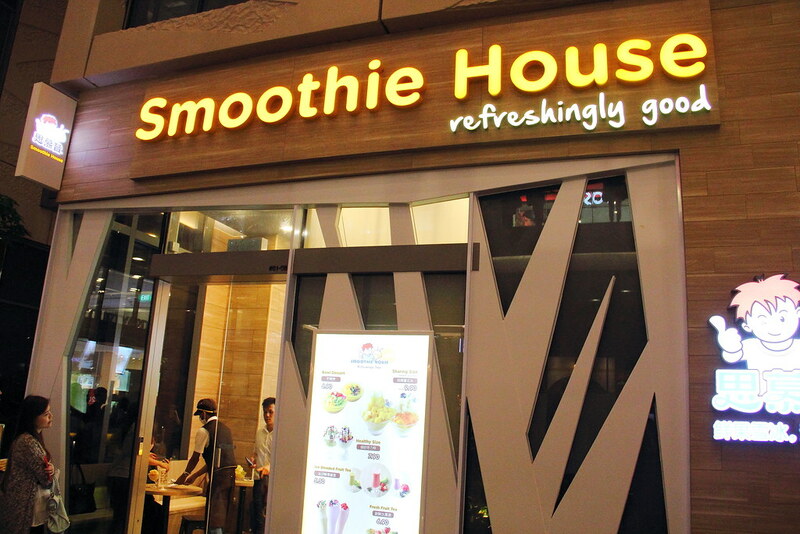 Popular Taiwanese snowflake ice dessert, Smoothie House has opened its flagship store at Westgate. Regarded by CNN as the 'must try' dessert place, now Singaporeans can also enjoy the renowned fruit based desserts originated from Taipei, Yong Kang Street. The snowflake ice desserts at Smoothie House comes in three sizes, Healthy ($7.90), Sharing ($9.90-$12.90) and Family ($15.90). 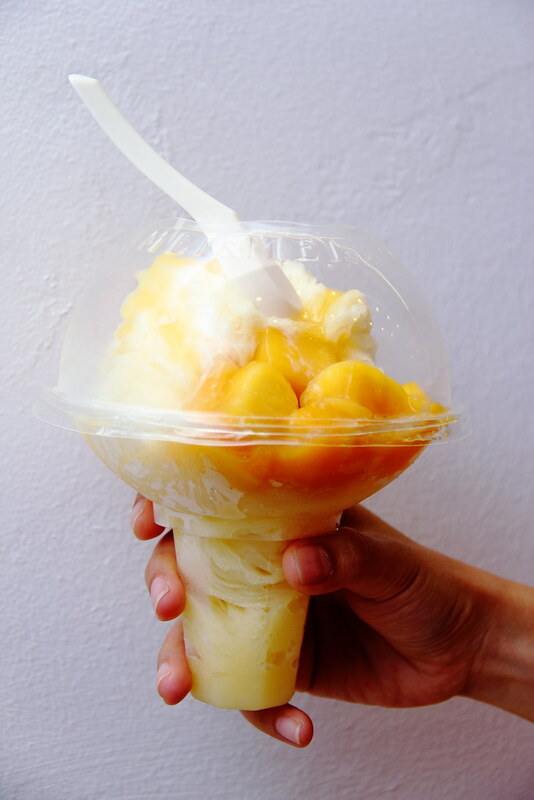 We tried the Mango Snowflake Ice ($9.90) that comes with mango shaved ice covered in chunky, juicy mango cubes, topped with panna cotta and drizzled with condensed milk and special fresh fruit mango sauce. The snowflake ice is really super soft and fluffy. Together with the sweet mango cubes, this is a very refreshing dessert perfect for Singapore's weather. 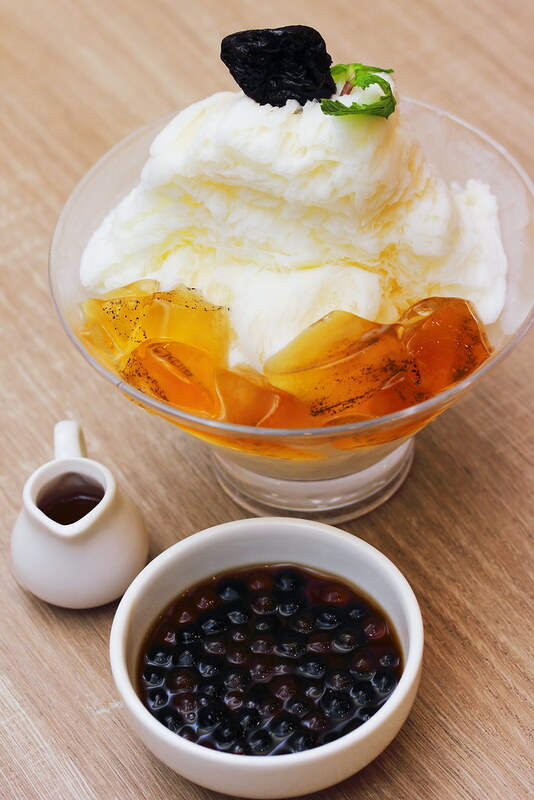 Only exclusively available here is the Tie Guan Yin Milky Snowflake Ice ($9.90) The creamy milk shaved ice is served with cooling tie guan yin jelly. topped with a tea prune and drizzled with black sugar syrup. On the side is freshly cooked mixed pearls in black sugar syrup. I am not too sure why they served the pearls separately, I thought it would be visually more stunning if it is served together with the snowflake ice. Not as sweet compared to the mango snowflake ice, but the hint of tea fragrance, lightness and black sugar syrup was a clear winner for me. For those that does not really have a sweet tooth and prefer something sour, the Yoghurt-Berry Snowflake Ice ($9.90) will be your choice. 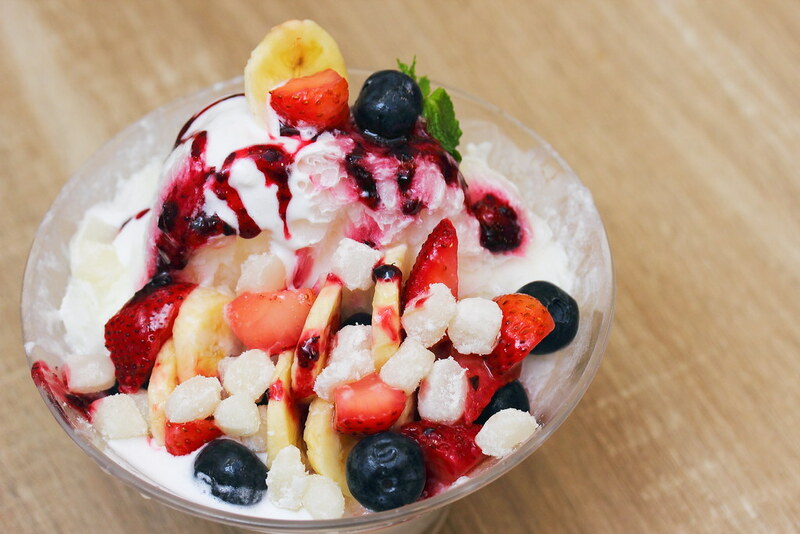 The healthy yoghurt shaved ice is covered with fresh bananas, strawberries, blueberries and topped with a tangy mulberry sauce. The seating capacity at Smoothie House is actually quite small. If you do not want to join the long queue, I do quite like the idea of the handy takeaway container for the snowflake ice dessert. For the opening special on 6th, 7th and 8th May 2016. 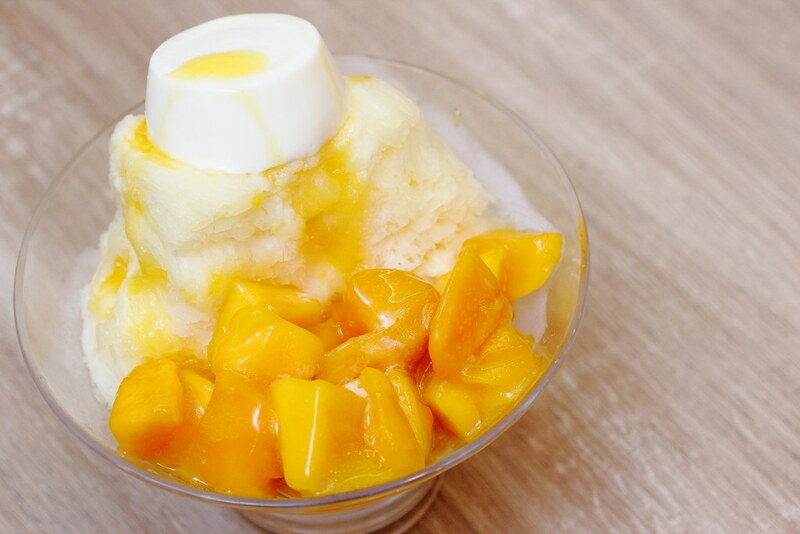 Customers can savour a free healthy size Mango Snowflake Ice with every purchase of a sharing size snowflake ice. On Mother's Day 8th May 2016, the first 10 customers at every hour can relish a sharing size Mango Snowflake Ice at only $2 when they bring along a parent.